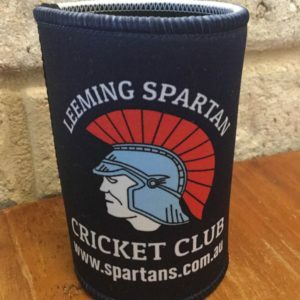 The Leeming Spartan Cricket Club’s Selection Panel is a hugely important and demanding role within the club, and without them, there could not be any cricket taking place each week whatsoever! Listed below is our Leeming Spartan Cricket Club Selection Panel for 2016/17. For players wishing to contact the Leeming Spartan Selection Panel, please ring or text the selection hotline on 0478 982 043. Please use this number to notify selectors of any changes to your match availability at least two working days prior to match days. We are greatly appreciative of our 2016/17 Selection Panel for the fantastic efforts they put in each week! In addition, please read our Club Selection Policy to ensure you are aware of the selection process in depth. It is important to note that our Selection Panel is comprised entirely of volunteers, and are therefore donating their own personal time to ensuring that each side is filled each week. 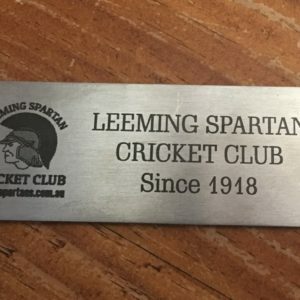 Leeming Spartan Cricket Club has eight sides, meaning 88 players are needed each week. Organising this many people each week is, without doubt, a highly demanding and time-consuming job, so we ask that whenever dealing with our selectors and Committee, that you please do so with respect. Mistakes will occur, but as outlined in our Selection Policy, it is important to know that our selectors are doing a fantastic job and one that will never satisfy everyone. John is a former President of the Leeming Spartan Cricket Club and he therefore brings a wealth of experience to his role as Chairman Of Selectors for 2015/16. John will undoubtedly provide his extensive knowledge to the selection process, and will help our club in its on-field success and development of our players. As Chairman Of Selectors, John will be responsible for organising team structures each week and will undoubtedly bring great success to the position. We thank John immensely for agreeing to fill this major club role in 2015/16! Anthony is a current two-day player within the club and his knowledge of current and past players will ensure he is best suited to assist John Ipsen with team selections. This is the first time Anthony has served on the Leeming Spartan Cricket Club’s Selection Panel, and such he brings a great level of enthusiasm to the role. In addition, his knowledge of the game and of the club’s players is almost unparalleled! Anthony is a long serving member of the Leeming Spartan Cricket Club and it is with great appreciation to know that Anthony has agreed to become part of the Selection Panel for 2015/16. We sincerely appreciate his momentous efforts in organising our eight sides each week! Jeff is a former Chairman Of Selectors at Leeming Spartan and a current committee member who will continue to provide his knowledge of the selection process to benefit all players throughout the grades. Jeff was hugely successful in his previous role as Chairman Of Selectors, which he fulfilled in the 2014/15 season with great reward – overseeing 6 of our 8 sides making it into the finals for that year. It is fantastic that Jeff will continue on as a Selector in 2015/16, as his wealth of knowledge of all of the Leeming Spartan Cricket Club’s players within the club is second to none. Ron will once again return to present the selected sides on a Thursday night, a role he has done for many years now. Ron has played over 400 games for the Leeming Spartan Cricket Club, has been a long serving committee member in previous years and is an invaluable member to our club. The Leeming Spartan Cricket Club and its members are delighted to know that Ron will present the sides each Thursday night after training! Use this number or the Spartan Unavailability Form to inform selectors of your unavailability at least two working days prior to the match start.